REALTOR PRICING AVAILABLE! Email us at info@chefbellaboards.com to learn more. 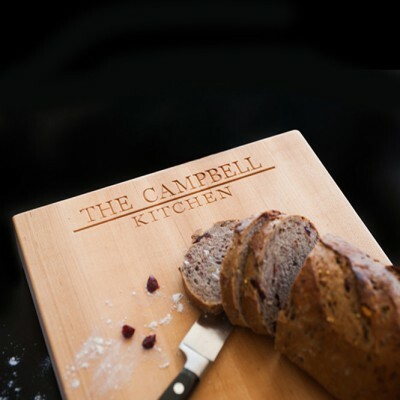 Board is rectangular in shape to allow convenient chopping, dicing, and slicing. Chef Quality, durable and renewable solid hardwood maple. Carved Personalization on both front and back. Fine detailed rounded top edge and 4 rubber feet on the bottom to allow placement on most surfaces. Flat rate shipping and handling $15 to continental US. We ship 2-3 weeks after your order is placed. Please contact us for expedited or overseas orders. 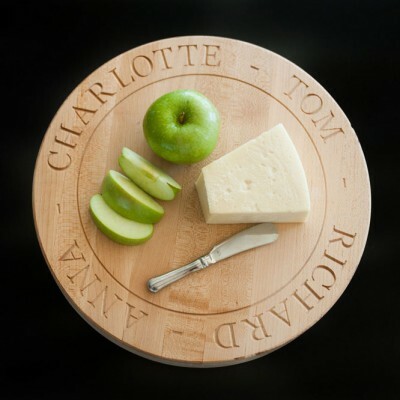 Round board is also good for serving fruit or appetizers. 12 x 12 inch round x 1 3/4.